Awards granted for ‘young designers’, mentorship schemes and sponsorships intended to kick start the careers of budding designers are increasingly being questioned in light of recent scandals but also for their elitist and often insincere nature that now seem incredibly dated in the face of the changing fashion industry. But in what way can young entrepreneurs and creatives be supported? As part of the on-going ‘Fashion from the Shadows‘ series, Aïcha Abbadi explores the ethos behind the ‘New Mentorship’ and some of the innovative examples that best capture this. Although slower to react, fashion world has not been spared by the current tense political climate and the multiplication of media outlets as well as interest groups. This has given way to radical questioning of established systems. 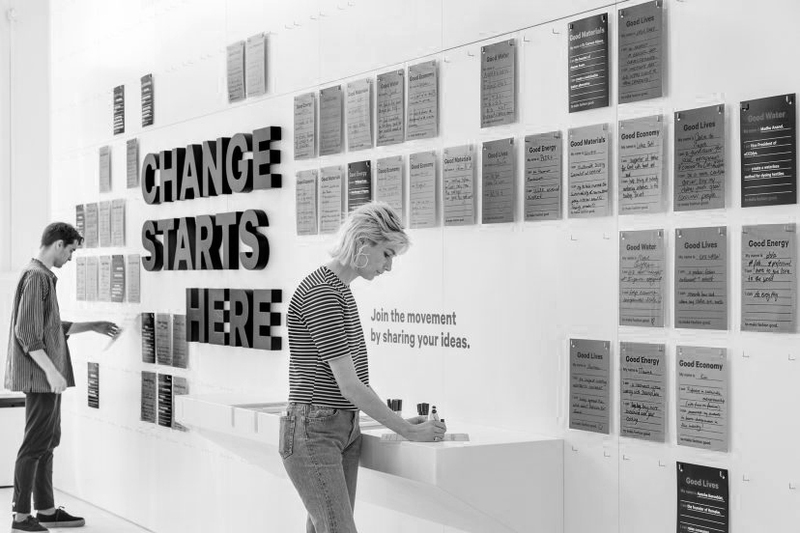 Widespread uncertainty combined with a strong desire for change is most palpable among fashion students and practitioners at the beginning of their careers. This urge for change and disenchantment with the glamorous side of fashion has resulted in the questioning of those in positions of authority.With insider information more readily available, the new cohort is increasingly challenging the legitimacy of gatekeepers while at the same time looking for support to establish their professional life. Instead of engaging in youthful rebellion, they seek to convince authorities of new forms of collaborative practice through democratic means. However, they also acknowledge the experience and influence of former gatekeepers, hoping it can be applied towards positive change instead of exclusion. 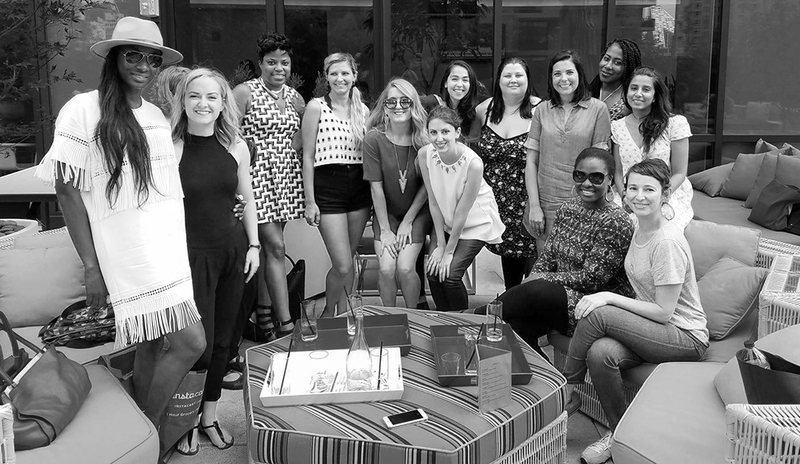 As a result, New Mentorship takes a different approach to providing guidance for a career in fashion. Factors that qualified someone to be considered a fashion authority in the past, such as industry experience, high rank positions and international fame remain relevant. However, with flatter hierarchies New Mentorship replaces authorities and role models who were looking for someone to follow in their footsteps with mentors who desire to support others to achieve a common goal. They are increasingly chosen for the values and practices they stand for as well as their vision for the industry’s future. Notions such as status and ‘insider access’ were important when emerging designers had to stay ahead of the competition. In this new era of diversified practices and increased cooperation, this kind of exclusivity stands in direct opposition to the transparency, interconnectedness and flat hierarchies demanded in the effort to fix the issues the industry has accumulated in the past. Whilst the current gatekeepers are partly responsible for humanitarian and environmental deficits of the fashion industry, the newcomers are determined to learn from their mistakes. Instead of creating a counterculture, they seek to incorporate alternative ideas into the industry-at-large. In order to achieve this, New Mentorship supports new ideas instead of perpetuating flawed practices. In the scarce job market, better access to knowledge and like-minded people have made the current generation more resourceful. Transformed ways of learning and a willingness to engage in entrepreneurship and independent practices are reshaping career paths and the public perception of fashion. This assertive attitude means that gate-keeping formats such as design competitions, limited access to education and proving one’s stamina through underpaid internships are slowly losing their appeal. New Mentorship replaces warnings about limited job availability and loss of creativity for the sake of increased sales with new optimism and alternative ways to enter the fashion world. The role of New Mentorship is not about assessment or providing outside approval, but instead it encourages independent ideas and creates support networks. It promotes proactive seeking out of mentors, development of individualised curricula and improving skills creatives need to achieve set goals. Formats adopted by New Mentorship range from discussion groups to online student- and alumni networks, participatory workshops and group exhibitions. Self-organisation has filled gaps that kept alternative voices out of fashion. Social networks like Facebook and Meet-Up have facilitated self-organised groups and events such as Fashion Revolution Week as well as various co-working and networking events have made alternative practices more visible. Without the need for competition, exclusivity and pretence have made way to behind-the-scenes knowledge exchange. Fashion schools, organisations and institutions have picked upon the trend and adapted their offers. Conferences are opened up to students as well as creative practitioners, panel talks include start-ups and exhibitions include fringe practices. Project-based work opportunities and fashion residencies demonstrate a willingness to collaborate on new ideas and a confidence in alternative ways of workingas well as new creative approaches. Fashion competitions have rapidly multiplied in accordance with the rising number of fashion schools and graduates, but at the same time they have also been ignored by some of the students they target. Some finalists, emulating similar moves by nominees and winners of literature and film prizes, have even elected to step down from competitions after disagreeing with public statements made by organisers. An increased sense of ethical responsibility among emerging designers has led many to question the provenance of funding behind prizes as well as business practicesand political stances of contest organisers. However naïve or self-righteous protests from newcomers may seem, with amplification through social media, initial outrage may well lead to more social responsibility and integrity in the long run. Events such as the scandal surrounding the Swedish Academy in 2018 with a resulting postponement of the Nobel Prize for Literature and some long-due reform measures have diminished the prestige of awarding institutions and highlighted the anachronism of the model. Public indignation and exposing of illusions related to the selection process for awards in the Arts mark a turning point that could lead to new ways of supporting talent in a more sustainable and ethically responsible way. Fashion contests and awards had served as a fast track to fame, with prize money presumably helping to build brands and targeted mentorship, connecting winners with the right people to kickstart their career. In practice, the actual mentoring time is often very limited and prize money rarely stretches beyond increased PR measures to benefit from the exposure of the competition. Winners’ fame and improved financial situation are short-lived and those who had hoped for guidance on building a long-term business often go out empty-handed. What was once seen as an important opportunity to finally enter the fashion system after completing education is now often perceived as a form of greenwashing to improve the image of big businesses. They assure that these contests are their way of giving back and promoting young talent whilst highlighting their Corporate Social Responsibility. Significant tax breaks resulting from these charitable acts are often the main driver behind talent support schemes while long-term benefit for participants is rarely a priority. With more pronounced criticism, some contest organisers have adapted and reshaped their format to incorporate feedback from participants and fashion schools. In an effort to re-establish the image of the European Fashion Award, tarnished by controversial opinions voiced by its investor, the award has been overhauled in 2018 to shift its focus from large individual monetary prizes to tailored coaching for up to 20 finalists that should provide them with the tools to build sustainable careers. The routes taken by organisers to attract contestants in the past have stopped to reflect the values of a more prudent generation of graduates who think long-term and believe in equal opportunities. Targeted invitations to outstanding graduates or hand-picking finalists from renowned fashion schools reinforce systems based on elitism and favouritism. Invitations and open calls advertising an ‘opportunity of a lifetime’ or aiming to ‘support the strongest young design talent on the planet’ seek to tap into applicants narcissism and cement the belief in an absolute fashion authority. Pre-selections behind seemingly open competitions and lack of follow-ups make potential candidates doubt as to who might really benefits from this system. Unease about privilege and inequality across sectors add to suspicion. Karl Lagerfeld, member of the LVMH prize jury, sees the insistence on the term ‘young designers’ by competition organisers as an insult and would prefer that newcomers were valued for their talent and as equals regardless of the amount of previous experience. New York Fashion Week founder Fern Mallis also expressed concern about the development of awards from being a simple recognition of previous achievement and ability to becoming time-consuming programs with multiple assignments that participants are often asked to fund themselves. Under these circumstances, Mallis believes graduates would benefit more from dedicating the work and resources that are required from contests into building their own business. Merging traditional routes with the accessibility provided by fashion contests and new approaches, some pioneers have already tested alternative ways of entering the working world and helping others to achieve their goals. Borrowing models from the art world, academia and tech, they seek to develop novel career paths for fashion practitioners that provide them with the resources to make a living, an emotionally sustainable work environment and the ability to make a positive impact on the industry and its social relations. Adopting an abundance mindset, the ‘chance to compete’, fame and status are replaced with the possibility to create their own work opportunities and collaborate on widening options instead of restricting them. However, a new spin on the traditional fashion contest looking for a ‘star designer’ has appeared as well. Only this time, the aim is to increase visibility of sustainable practices. – Contests like the Ethical Fashion Forum Innovation Award or the Redress Design Award (EcoChic Design Award) seek to promote better practices rather than finding the ‘next talent’. 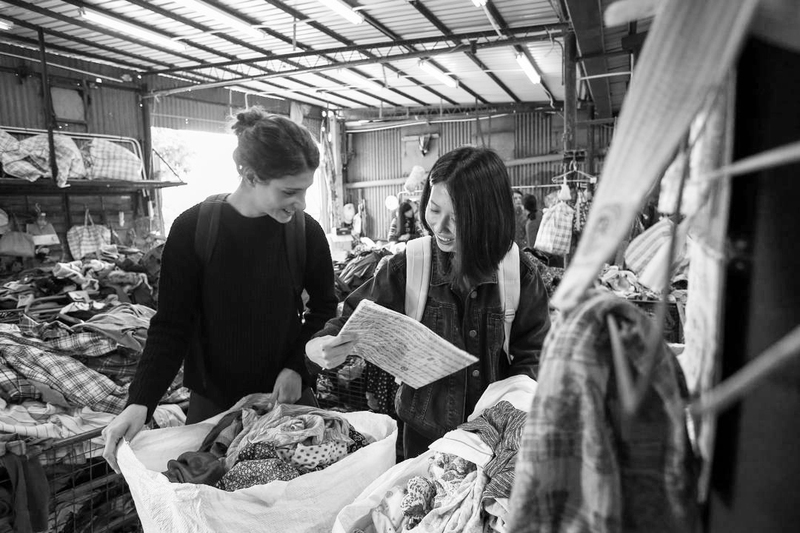 Redress was founded by journalist Christina Dean and aims to provide a large number of finalists with additional educational resources, guides for sourcing textile waste or other sustainable materials. It seeks to provide a supportive network for continued career advice rather than dropping them for the sake of fame for a select few. In this case, competitions serve as an incentive to engage in sustainable practices and come up with alternatives instead of sourcing and extracting the much-needed ‘creativity’ that can be monetised by corporations. – As fashion’s creative practices are venturing beyond narrowly defined boxes, fashion residencies are providing spaces for new ideas. Changing the public’s perception and engagement with fashion, this type of programmes help to imagine and test-run alternative fashion models. Among the institutions offering them are the Victoria & Albert Museum and the London College of Fashion. In an effort to create a ‘living museum’, the V&A offers residencies for various disciplines. Residents are provided with a space, a production budget, continuous feedback and a platform for interaction with museum visitors. Although currently limited to UK-based practitioners, the V&A Fashion Residency might become a model for other cultural institutions to support designers and researchers whose practice expands the scope of fashion. At LCF’s Fashion Space Gallery, changing exhibitions and programmes present residents’ work in Central London. Aimed explicitly at hard-to-define practices and with a programme filled with talks, performances and installations, it serves as an experimental lab and platform for collectively defining fashion’s present and future. It also connects students with practitioners and showcases alternative career paths beyond starting a fashion label. Another opportunity for practitioners established in the UK is the residency offered by London’s Design Museum. Open to designers from all disciplines, it includes a production budget, a bursary, a workspace within the museum for a duration of seven months as well as a final exhibition for four designers each year. 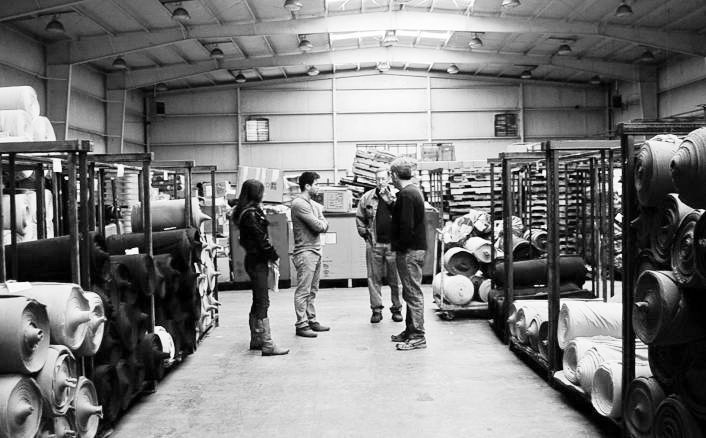 – Fashion for Good’s Plug&Play accelerator supports start-ups of all sizes that work towards a circular and sustainable fashion industry. From material development to alternative forms of making and distribution, the Amsterdam-based program supports projects that hack into the existing system by creating sustainable alternatives. It provides office space for three months, mentoring and considerable investment, with possibilities to raise more from investors and spend three months in Silicon Valley. 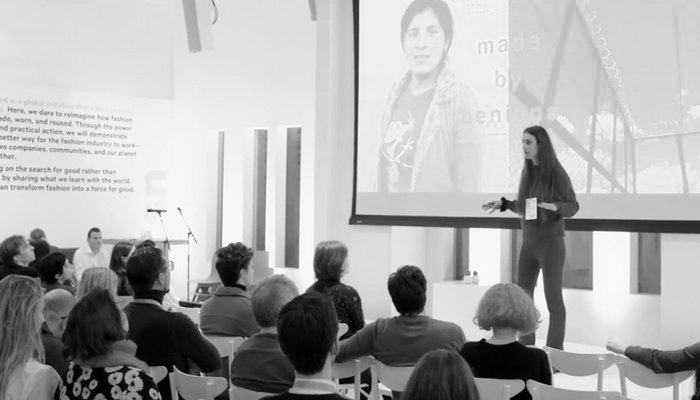 Fashion for Good’s accelerator taps into existing networks to improve the industry where change is needed the most. 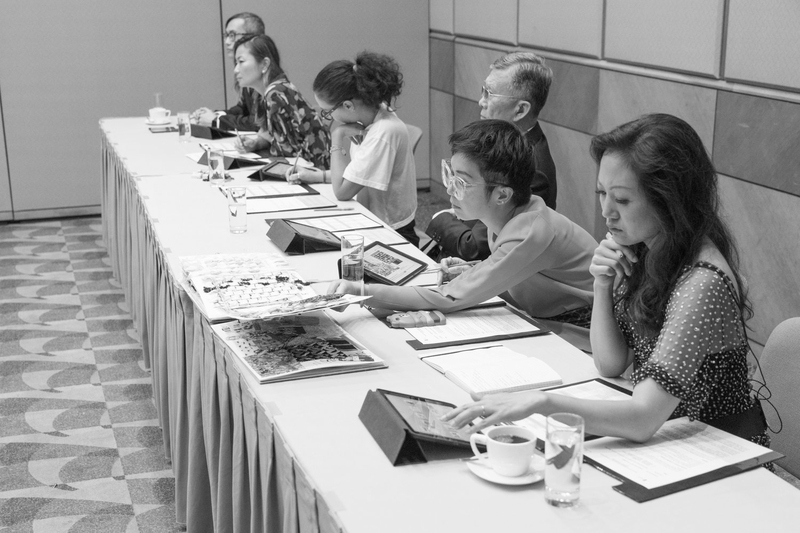 It aims for cooperation instead of competition, attracting multiple industry partners that include brand conglomerates, research hubs and trade initiatives. Partners offer mentorship, financial support and cooperation on products, while participating start-ups can scale their ideas and actively shape the industry’s future. While many sustainability experts remain critical of scaled sustainability instead of radically reshaping the system, the cooperation and support of new ideas from the industry shows willingness to reduce their impact on the environment. – Startup Fashion is an online platform created by Nicole Giordano in 2009 after she discovered the value of connected networks for independent designers while building her own fashion business. It aims to provide a space to exchange skills and knowledge while building a lasting support system. 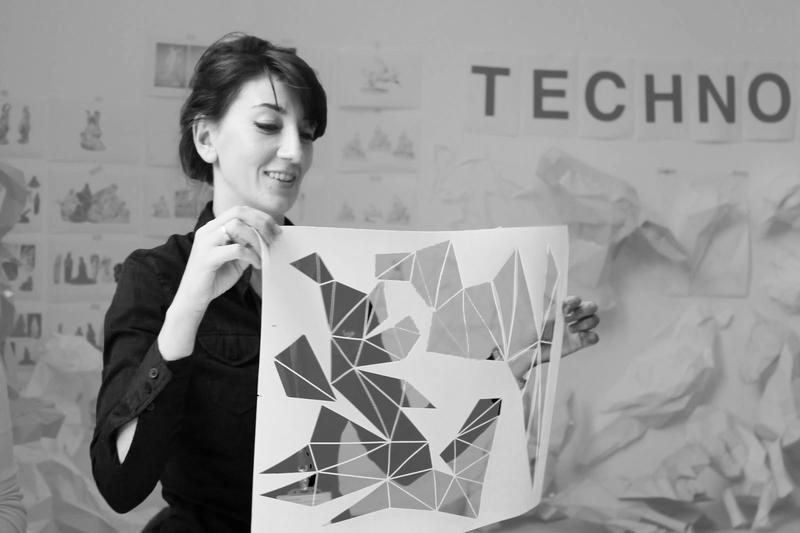 Instead of providing a unique blueprint for success, Startup Fashion seeks to promote alternative career paths and encourage members to bring to life their own ideas of how fashion work can be done. Taking the form of community mentorship, members can ask for help from the collective, access resources and share insights. The concept aims to work cooperatively towards success for each member on their own terms instead of competing according to a set of fixed, outwardly defined values. Giordano seeks to promote a New Fashion Business Model where designers create according to their own values and calendars, sell directly to consumers and stop taking coverage by established, traditional fashion media or headquarters in traditional fashion capitals as the only measure of success. – Fashion Startup Weekend has the ambitious aim to help fashion entrepreneurs get their ideas off the ground with an intense 54-hour program of lectures, panel discussions and workshops. Part of the Techstars Network and the Startup Weekend model initiated by Google, it represents the first step of developing business ideas, with opportunities for further mentoring, accelerators and access to a Venture Capital fund after the initial idea has taken shape. In Athens, the event is hosted by The Fashion Gate, an incubator founded in 2016 that provides year-long residencies with mentoring, legal and technical support as well as participation in industry events and promotion. It is targeted at Greek fashion students and recent graduates as well as other aspiring fashion entrepreneurs needing guidance. Previous Fashion Startup Weekends have been held in multiple cities across the world. Alongside usual fashion and startup capitals, they are also held in cities otherwise underrepresented in fashion business and media such as Tehran or Mexican Aguascalientes. – American Factory45 seems at first to be merely fulfilling the conservative agenda of bringing back production to the United States. However, it goes beyond encouraging local production in providing designers and those without prior fashion background with resources and assistance for building their own brands. The focus lies on sustainable production and fair wages, providing alternatives to fast fashion and making designers consider social responsibility from the beginning of their career. Within a 6-month remote program open to participants globally, Shannon Whitehead helps newcomers build their brands and connects them to suppliers and manufacturers. In addition to providing online lessons and worksheets for the more technical aspects of fashion, it encourages readings by fashion scholars and critics, challenging preconceived notions of fashion production. The online modules are supplemented with expert interviews, contact databases and regular group calls with other participants to foster exchange as well as individual advice. While this fast-track program requires financial investment, it also helps participants raise money for their initial production. The goal of the founder is to provide a low-cost and time-saving alternative to American fashion schools and help brands start out without debt. While designed to skip the creative and historical aspects of fashion education and focus on business and production, the program is not a replacement but rather a complement to traditional fashion schools.